The global selloff has erased $5 trillion from stock and bond markets in October alone! October is a historically bad month for stocks. Many of the most dramatic crashes have begun during this month. The global market crash of 2018 seems to be in line with this trend and the crash is indeed global. In other words, most of the stock market rally since February has been the result of retail investors entering the market. Everyone knows this is the final nail in the coffin for any long-term bull market. So, the question becomes, why now? The causes of a crash like this are many and varied. While most media sources tend to report on things in terms of a simplistic dichotomy (this or that), reality tends to be more complex. The recent trade war between America and China is only one recent event that seems to be precipitating this crash. And while mainstream media loves to point this out over and over again, they remain silent on the actions of central banks and governments that have put the world economy in such a vulnerable position in the first place. In this case, flooding the market with trillions of new fiat currency units and pushing interest rates to zero for the greater part of a decade made a new crisis inevitable. In February of this year, I wrote an article on Blasting News about the coming crash that would be blamed on Trump’s trade war. I asked the rhetorical question, “Will the next credit crisis and financial failure begin in 2018?” as it became more and more clear that the answer would be yes. In the article, I describe the historical basis for central banks setting the stage for financial crises. By unilaterally manipulating interest rates and the money supply, central banks create the monetary conditions leading to economic booms that become economic busts. And they do a great job of concealing the fact that they usually initiate the bust through their own actions as well. Of course, it’s not a coincidence that the timing of this crash happens to fall in line with The Federal Reserve raising interest rates. This action has caused the USD index to rise, which has weakened other fiat currencies. Emerging market (EM) economies have tons of dollar-denominated debt that they must service with their own fiat money. A stronger dollar means they need more of their own currency to pay their debts. 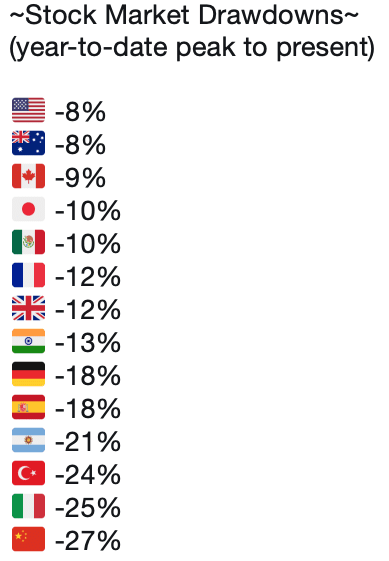 This is an oversimplification of the issue but is basically why we see economic turmoil fueled by currency collapse in countries like Argentina, Turkey, Iran, India, and so on, as we have previously covered at GSB. The crash that is coming will be unlike anything the world has ever seen. Put simply, there has never been this much debt in the system (hundreds of trillions worldwide), so there will be no historical precedence for the crash. 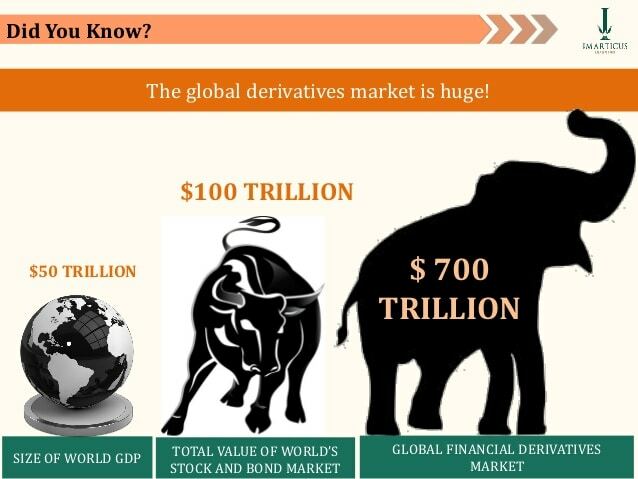 And that debt doesn’t even include the hundreds of trillions worth of derivatives held by big banks. If those go bad, it’s game over for the global economy. So, while holding some cash is always good in uncertain times, you can’t depend on fractional reserve banks to provide access to your funds during a crisis. As occurred during the last crisis, we are likely to see some traditional financial institutions and even national governments become insolvent. They can print money in an attempt to stop the bleeding, but this inevitably leads to high inflation or hyperinflation. While most stocks should be avoided during a crash, gold mining stocks tend to do well after the initial take down. They bounce back first and rise the fastest as investors start fleeing to safe-haven assets, which the mining companies own. Cannabis stocks are not immune from a market crash, but could hold up better than other sectors, as those using it for medical purposes and unlikely to cut back. And like alcohol, we could see sales hold steady or even rise, as people seek relief from the economic strife that unfolds. At Gold Stock Bull, we help our subscribers pick top-performing stocks no matter which direction the market is moving. You can also purchase shares of an ETF like GDAX (gold mining) or MJ(cannabis) to get exposure to these sectors. Large market cap, high-dividend-yielding stocks and utility stocks in developed countries like China, Russia, and many European nations also tend to hold up relatively well during market crashes. There are also fixed-income investments, which are among the most conservative options. Certificate of Deposit (CD) accounts will become more attractive as interest rates rise, although they don’t even beat inflation at present rates. The same goes for money market funds. 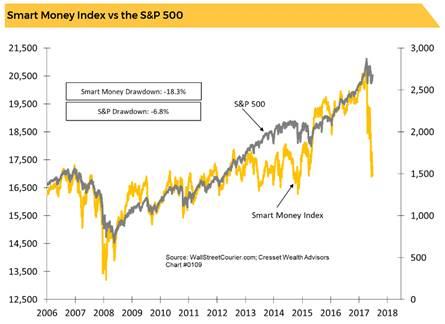 But while these assets are typically viewed as having no risk, we think that the next market crash could call into question the safety of assets that have long been viewed as having zero risk. This is especially true when they are backed by governments that are deep in debt themselves and rely on other nations buying their debt in order to pay the bills each year. Many experts believe the most significant hedge against this kind of uncertainty to be physical gold securely held in your possession or in vaults outside the USA. A potential newcomer to the safe-have assets is bitcoin, ideally held in a hardware wallet or cold storage. For those who choose to hold a crypto portfolio, it’s wise to keep a significant portion of those holdings in bitcoin, which is the gold standard of crypto, has a strictly limited supply, the highest encryption strength and a perfect track record of never being hacked. The great thing about bitcoin (and other cryptocurrencies) is that you own it. With a hardware wallet, you own your private keys. A third-party doesn’t have to provide custody and can’t abscond with your funds due to fraud or a national emergency. Goldmoney provides custody and liquidity for those who want to own gold, silver, platinum, and palladium in tradeable form. At a minimal premium and for small monthly storage fees, users can hold precious metals in Brinks vaults in countries like Canada, Switzerland, Singapore, and more. The metals can be sent to anyone else with a Goldmoney account or loaded onto a pre-paid debit Mastercard for daily transactions. If you hold some gold and bitcoin as a safe haven bid in addition to mining stocks and cannabis stocks for considerable long-term gains, you will be shielding yourself against the harshest effects of the storm. More speculative assets like altcoins, junk bonds, penny stocks, etc. should be limited to single-digit percentages of a total portfolio at times like this. The real estate market is currently overvalued in our view and due for a correction. As interest rates rise and economic growth slows, we could see a repeat of the last housing market crisis. Households are back to spending the same percentage of their income on housing as they were just prior to the last crash. Governments are also back to pushing for more lenient loan requirements. These are both troubling signs, as we tend to see this happen at or near tops. But real estate is a great long-term investment and inflation hedge. High net worth individuals should consider scooping up real estate bargains during crashes. People who bought property in 2009, for example, have profited quite handsomely since then. Sophisticated, risk-tolerant investors might consider buying put options or selling call options to hedge their portfolios during major corrections. Like many other market observers, I recently mentioned that tech stocks were overvalued. While they have since corrected, there might still be an opportunity to short stocks like Tesla, Netflix, Amazon, and many others in the tech sector if the current correction continues. But again, acquiring gold and bitcoin should be your first priority. In fact, for the average person with limited resources and little appetite for risk, it may be the only thing that really matters. Global Market Crash 2018: How Bad is it, And Will it Continue? It’s tough to measure the severity of this global market crash in 2018 as it may only have just begun. With that in mind, Wednesday was definitely a terrible day for markets and the major indices are dropping again on Friday. It’s shocking to see an exchange like the Nasdaq (the second-largest stock exchange in the world) down over 4% in a single trading session. This marked the worst day for the NASDAQ since 2011. While stocks in the US rallied on Thursday, they still didn’t quite erase the previous days’ losses. A good indicator to look at is the volatility index (VIX). VIX has been skyrocketing the last few weeks. This measure of overall volatility in the market has peaked at 25. Four weeks ago it was barely above 10. In other words, volatility has increased by almost 150%. Brian Kelly of CNBC wrote an op-ed piece for Forbes this week in which he talked about the US Dollar as the new VIX. His main point was that a rising dollar creates greater global risks than the VIX can account for. Kelly also mentions that although many countries are making moves away from the dollar, it still makes up 62% of all foreign currency reserves. So, while no fiat currency is safe in the long-term, it does make sense to hold some cash for now. After all, the USD index has been strengthening. And while this may be the final top ever for the dollar, it will stay strong in the near-term. As long as you have gold and bitcoin to hedge against it, you’re okay holding some fiat. As Goldberg mentions, a big benefit of holding cash is that it provides the liquidity needed to jump into a new investment the moment it becomes most appealing. Because we are likely in the early stages of this decline, cash is king in a limited sense. When you look at the above factors, it seems this crash is more likely to continue than not. There are also many other factors at play that are beyond the scope of this article and paint an even more convincing picture that leads to the same conclusion. While P/E ratios have come down a bit in the past few months, the Shiller PE remains historically high. It is currently at 30, higher than the peak just before the financial crisis and the same level just prior to Black Tuesday. In fact, it has only been higher at one point in history, just prior to the dotcom bubble bursting in the year 2000. Price earnings ratio is based on average inflation-adjusted earnings from the previous 10 years, known as the Cyclically Adjusted PE Ratio (CAPE Ratio), Shiller PE Ratio, or PE 10. All things considered, October 2018 could very well be the start of something big. The global crisis that everyone has been warning about for the greater part of a decade appears to be materializing. One thing is for sure, though. 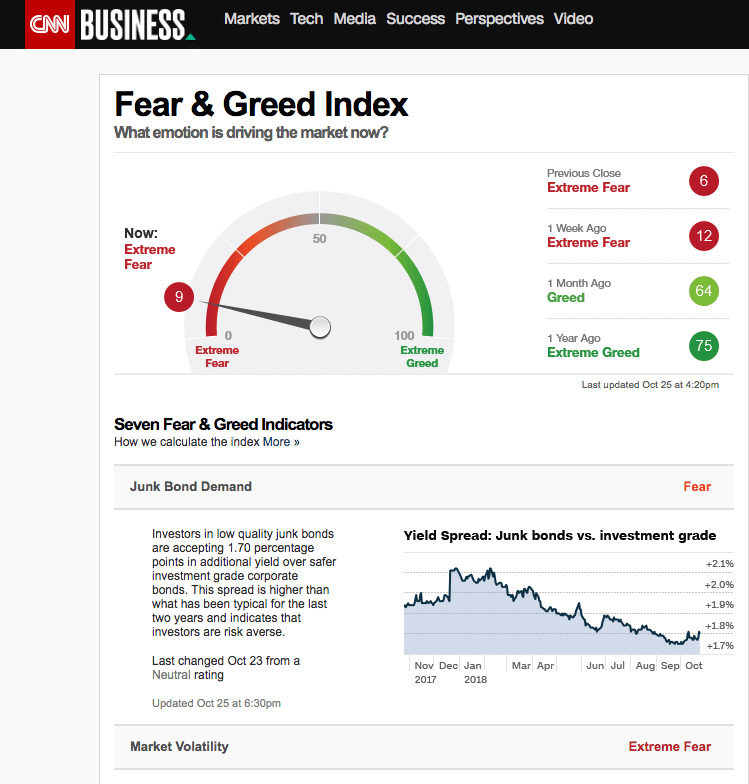 In recent weeks, mainstream sources like CNBC, Forbes, and Business Insider have begun to mimic what sources like Gold Stock Bull have been saying for years with regard to a global market crash. We have reduced risk in our model portfolio, entered a short position against an overvalued biotech company and hold a large position in gold mining stocks and cryptocurrencies. Sign up to be a GSB subscriber today and put yourself in a position to protect your assets and profit from the challenges and opportunities ahead.